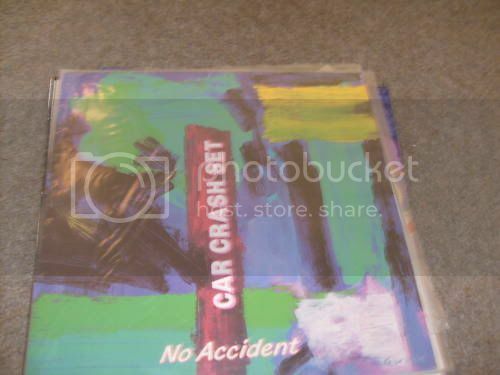 This image was absolutely diabolical to try to find (and many thanks to the #subcafe crowd for helping me find it) - most of the album collector sites on the Internet have the album's back cover, for some reason. Musicians: Nigel Russell - synthesizer, vocals, percussion; David Bulog - synthesizer, drum programming. Additional musicians: Trevor Reekie - guitar; Ryan Monga - bass; Sharon Tuapawa - backing vocals; Henry Downes - percussion; Roddy Carlson - timbales, cymbal, snare drums; Ian Gordon - saxophone. Songs: Justice; Those Days; Breakdown; Heart Of Stone; Scarred; No Accident; Sax Appeal; Your Eyes.